Fred’s Septic Service is known for serving every septic need in their area for over sixty years. To put the company’s lengthy history into perspective, it was the original Fred who held the fifth issued septic license in Wisconsin. Several decades later, Fred’s Sanitary Service continues to surpass their customer’s expectations in regards to camera line inspection, snaking lines, detailed evaluations, pipe replacement, real estate evaluations, remediation, system installation, and other sanitary needs of their customers. 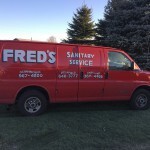 We were lucky enough to speak with Mr. Lindsay Wallace of Fred’s Septic Service to understand what makes them tick and why people still can’t get enough of their service. Q: So tell us a little about yourself and your background. What kind of training and education do you have? 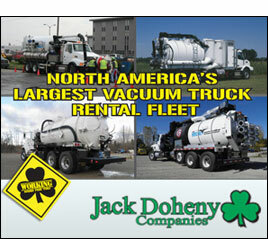 What initially brought you to the septic business? 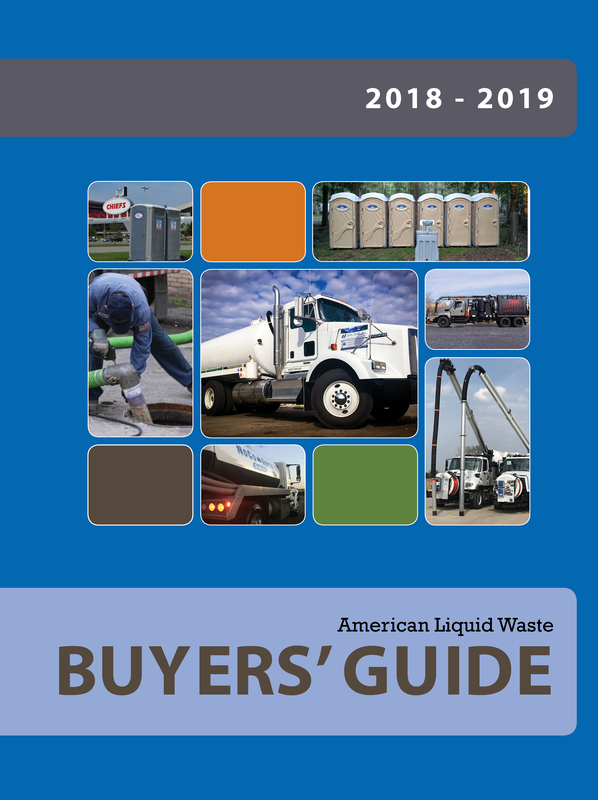 Why did you pursue business in the septic industry? What were you doing before you entered the septic business? How did your previous work influence your current work in the septic industry? Wallace: I have a background in Engineering, sales, and business. 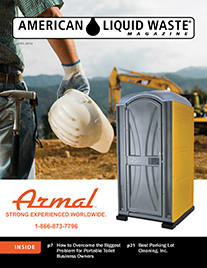 I was in the plastics industry making formed parts for the portable toilet industry. While making calls on customers, I met some guys in the portable toilet business that always seamed to be making a decent living, while working for themselves. While still in the work force, I was also investigating businesses for sale, through Brokers and using sites like bizbuysell.com. I found a company that fit all the metrics I was looking for, and it just happened to be a septic pumping company. Q: Let us know a little history about your business. When you initially started out, who worked with you? What kind of modifications or changes have you made since you joined the business? 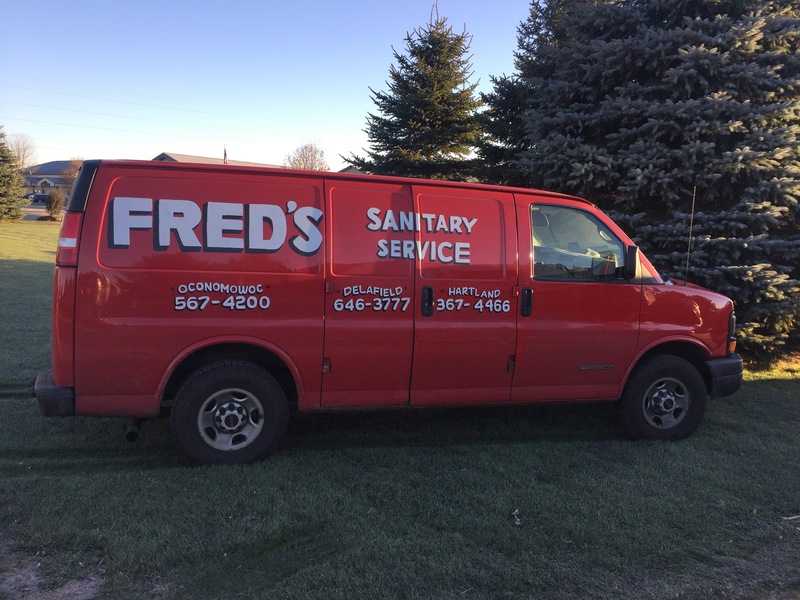 Wallace: Fred’s Sanitary Service has been around since 1949. In 1966 the original “Fred” hired a guy to go work for him named Leo Jerger. Leo drove truck on the side for Fred for a number of years, until Fred decided to get out of the business, and he sold his truck and customer list to Leo. I met Leo in October of 2000, 2 months after my second son was born. A few months later Leo and I had developed a succession plan and an asset sale agreement so that there would be no interruption to the service that we’ve been known for. Once I was running Fred’s, we slowly started to add services to be able to further meet the needs of our customers. Q: So what is your current business model? How did you go about structuring your business? What kind of configurations, organizations, models, or plans did you use when you set up your business structure? To set up your business structure, what kind of market research did you do to get an understanding of the area you’re working in? Wallace: Our business has always been focused on the stake holders of our company, the being our customers, and our employees. We’ve always approached business with the mindset, if you serve those two groups of people you’ll always succeed. For example, at Fred’s if a customer has a complaint of any kind, we ask them, “what can we do for you”. In other words if a customer thinks the bill is too high, we say, “how much is fair” and then we make the adjustment. Our mindset is, we want them to call us again. If they leave the transaction satisfied they are more likely to call again. Q: What kind of services does your business offer? What is your most successful division? Why do you think this division is the most successful? In terms of each division, what is the breakdown? Wallace: Fred’s offers septic pumping, holding tank pumping, repair work, system replacement, pipe snaking, and real estate evaluations. The real estate evaluation side of the business has been the most successful recently because that market has been quite active. Q: What are some of the services and features that set your company apart from the competition? How did you create these unique services and features to cater to your audiences? Wallace: It has always been very important that our customers can reach us 24/7/365. If a customer is having a problem, we want to be able to help them out. I personally have a run a job on every holiday of the calendar year. Now that we are a little bigger, we can spread out emergency coverage between the guys. Q: How many employees do you have working for the company? What titles do they have? How do you organize and implement your employee and managerial structure. Wallace: 12, CFO, CEO, Forman, Office manager, Service techs. Q: How does your business boost efficiency and morale in your workers? Wallace: We have safety plans in place that reward continued time without a loss time injury. We also offer gift cards each month for they guy who has an unusually productive day. Q: What kind of trucks and equipment do you use? Wallace: Fords, Peterbuilt, Sterlings, Western Star, and Internationals. Q: How many clients do you work with annually? What are some of your bigger clients? Wallace: Most of our business is residential or retail. We do have a few industrial customers that require regular service, but our biggest customer is less than 1% of our business. We run about 8,000 jobs in a year, and that represents about 5,000 unique customers. Q: What are some of the more challenging aspects of your industry? Wallace: Finding enough time to have a little fun.